An Introduction to Dewey Decimal Classification By Sehgal R.L. The works of the renowned Dr. Shiyali Ramamrita Ranganathan - considered the father of library science in India - cover certain facets of library and information science. These library science classics - reprinted by Ess Ess Publications - make Dr. S.R. Ranganathan's work available to the current generation of librarians. Colon classification (CC) is a system of library classification developed by S. R. Ranganathan. It was the first ever faceted (or analytico-synthetic) classification. The first edition was published in 1933. Since then six more editions have been published. It is especially used in libraries in India. Its name "colon classification" comes from the use of colons to separate facets in class numbers. However, many other classification schemes, some of which are completely unrelated, also use colons and other punctuation in various functions. They should not be confused with colon classification. The definitive source for keeping up with the amazing changes in science and technology - complete with more than 1,700 new and updated articles. commendable, not only for filling a scarcity in the literature, but also in the imparting of skills applicable to Africa. setting out basic LIS research concepts, though with examples that have an African flavour. Dozens of new and expanded articles, including Pixar Animation Studios, rhythm and blues, National September 11 Memorial and Museum, magnetism, Adelie penguin, prime number, Cold War, and plant. More than 25,000 rich photographs, maps, and illustrations. The new print edition of the Dewey Decimal Classification, DDC 23, is now available in Sunshine Bookseller. The DDC print edition is scheduled for delivery to any locations within and even outside Nigeria. Highlights of the new edition include several major changes held for simultaneous publication in the print and Web versions of the DDC plus many interim updates. The Dewey Decimal Classification (DDC) system is the world’s most widely used library classification system. The 23rd edition of the DDC enhances the efficiency and accuracy of your classification work in ways no previous editions have done. It is the most popular classification in the world, the DDC 23 works hard to merit its preeminent status. Delivering a core list of key headings, together with patterns and examples to guide the cataloger in creating further headings as required, Sears List of Subject Headings has been the standard thesaurus of subject terminology for small and medium-sized libraries since 1923. * Agreement with the Dewey Decimal Classification system to ensure that subject headings conform with library standards. * Accompanying list of canceled and replacement headings, and legends within the list that identify earlier forms of headings. The 20th edition of the Sears List features expanded coverage for developing topics, as well as updated headings in some areas. New trends in social networking are represented by entries like Twitter and Facebook. And new headings for arts and crafts have also been added, such as Acrylic painting and Wire craft. * Soviet Union headings have been canceled in favor of period subdivision under Russia History. * Indians has been re-established to denote the people of India. A number of headings for the literature and culture of India such as Indian music and Indian literature have been reconciled with this change, and new chronological subdivisions have been established for the history of India. Sears List of Subject Headings also includes Principles of the Sears List, a 23-page insert outlining the theoretical foundations of the Sears List and the general principles of subject cataloging. 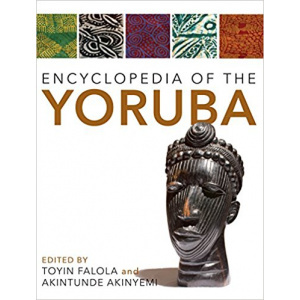 Written by international experts and scholars, the articles in this collection reflect the standards that have been the hallmark of the leading English-language encyclopedia for over 240 years. 8,500 photographs, maps, flags, and illustrations are included in the Britannica Global Edition’s 30 easy-to-hold compact volumes. Volume dimension: 5 3/4" x 8 3/4"
The Encyclopædia Britannica (Latin for "British Encyclopaedia"), published by Encyclopædia ... The 2010 version of the 15th edition, which spans 32 volumes and 32,640 pages.